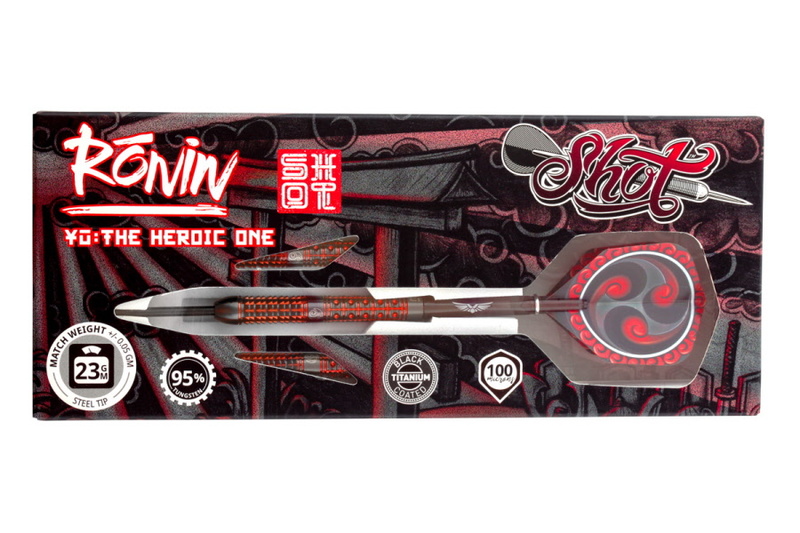 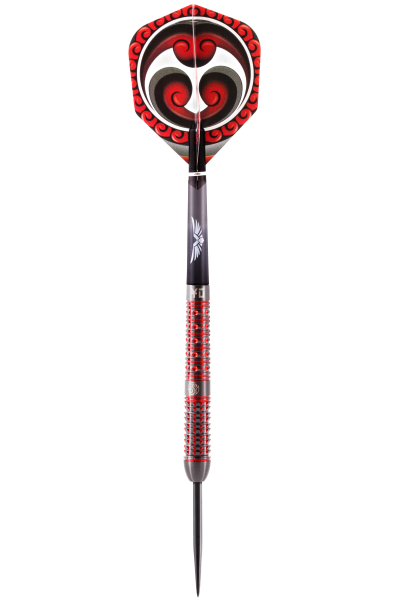 Ronin is a range of darts for the skillful player. 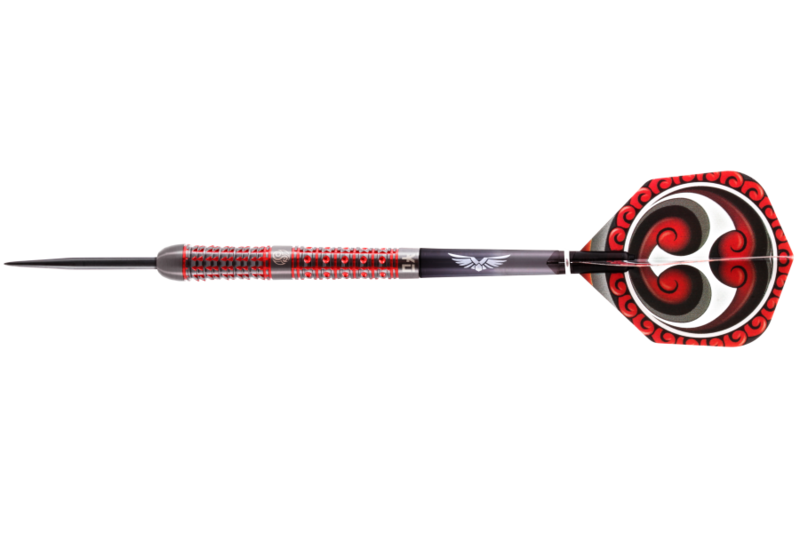 Standout graphics in regal colors echo an ancient Japanese warrior dynasty, that of a warrior with no master. 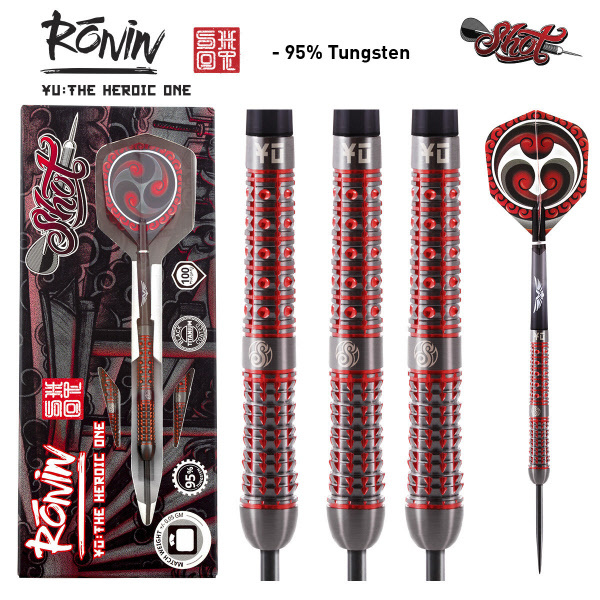 These Ronin lived by a code of discipline known as the Bushido, which outlines eight virtues. 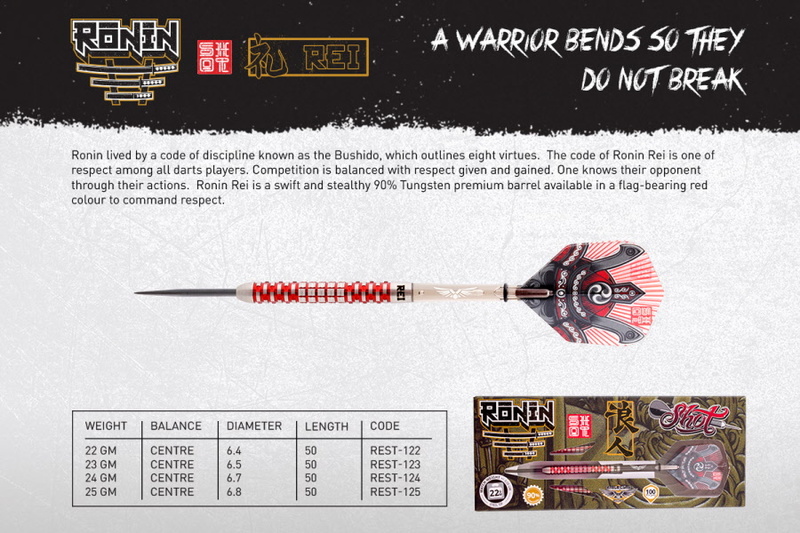 The code of Ronin Rei is one of respect among darts players – a trusted ally to be relied upon in the fiercest combat to strike with force and act with honour. 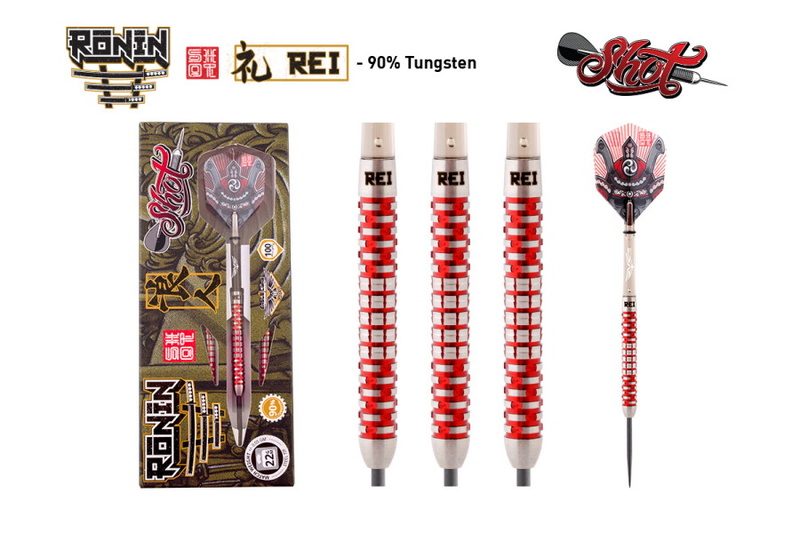 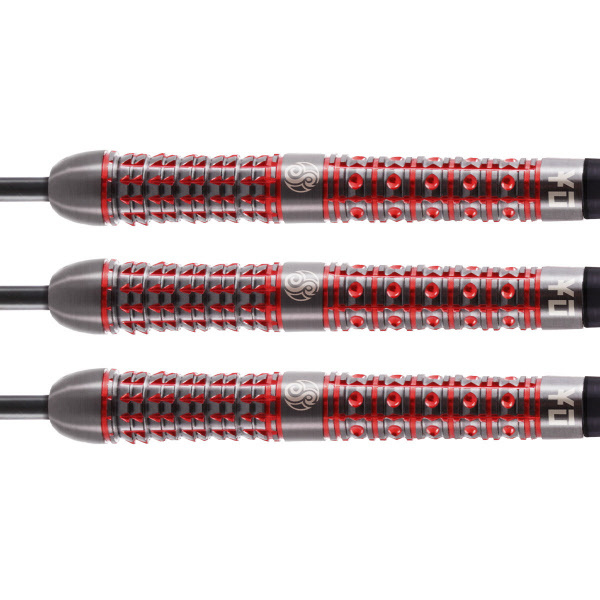 Ronin Rei is a swift and stealthy 90% Tungsten premium barrel available in bold, flag-bearing red to command respect. 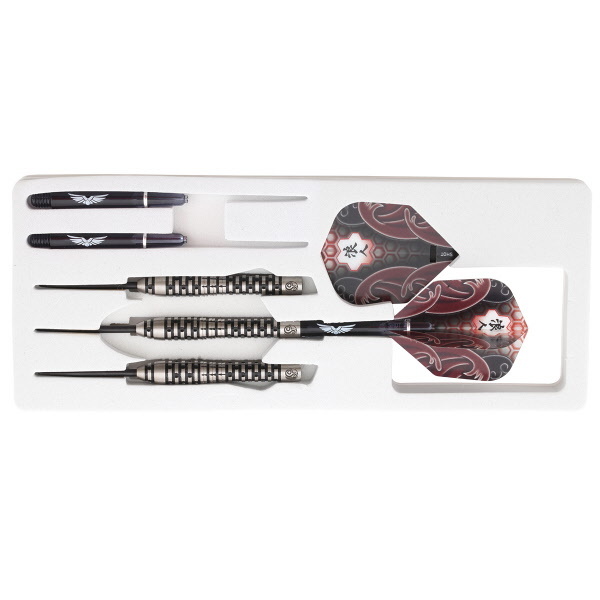 This high calibre dart is centre weighted with an assertive, brick like ‘Masonry Grip’ on the front and rear of the barrel. 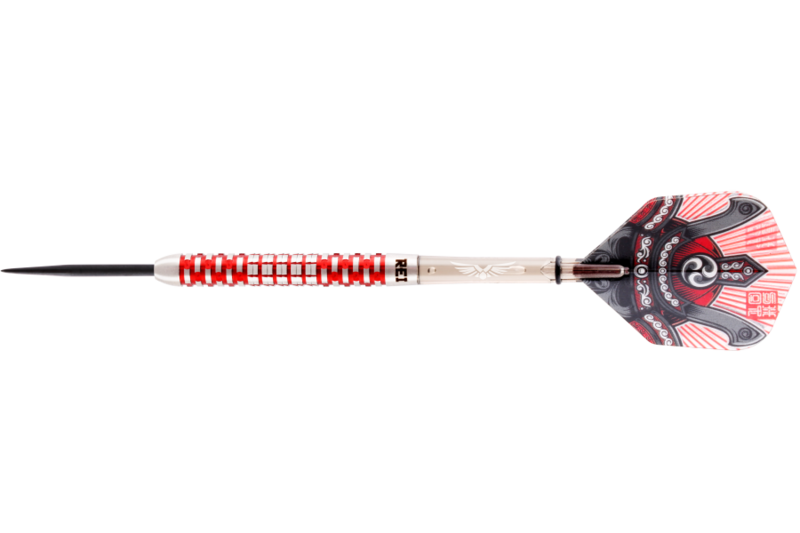 The mid section of the barrel is encircled by the ‘Gauntlet Grip’ of a swift and deadly pair of shark fins. 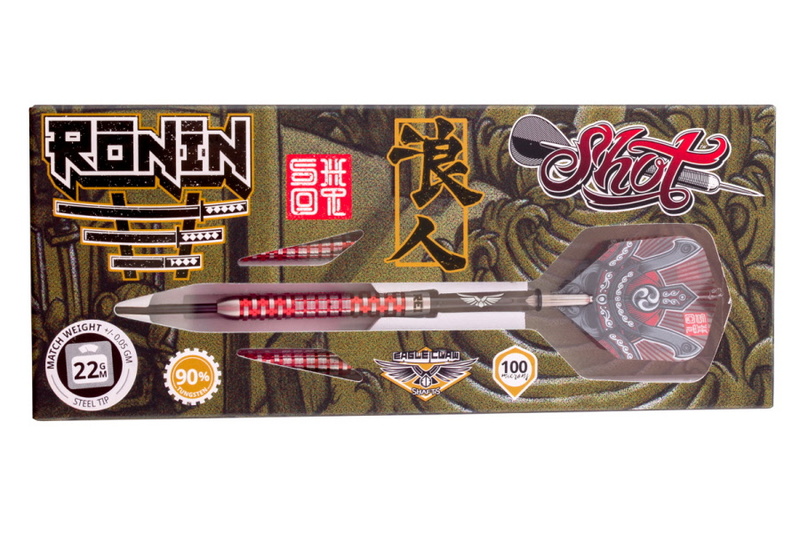 Ronin is a range of darts for the skillful player. 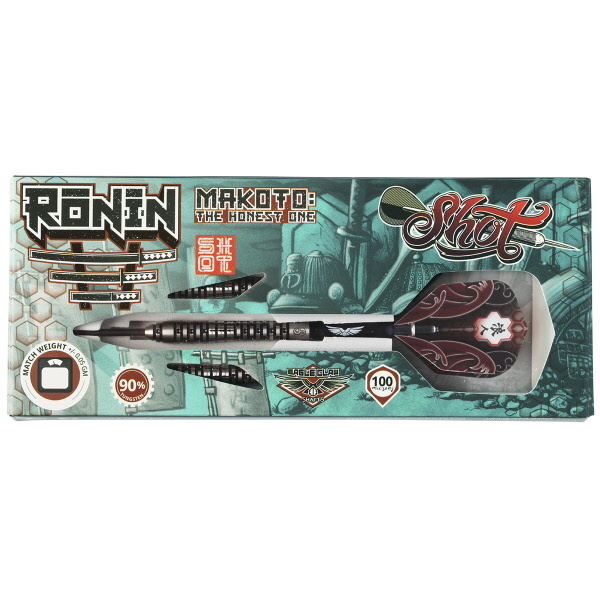 Standout graphics in regal colors echo an ancient Japanese warrior dynasty, that of a warrior with no master. 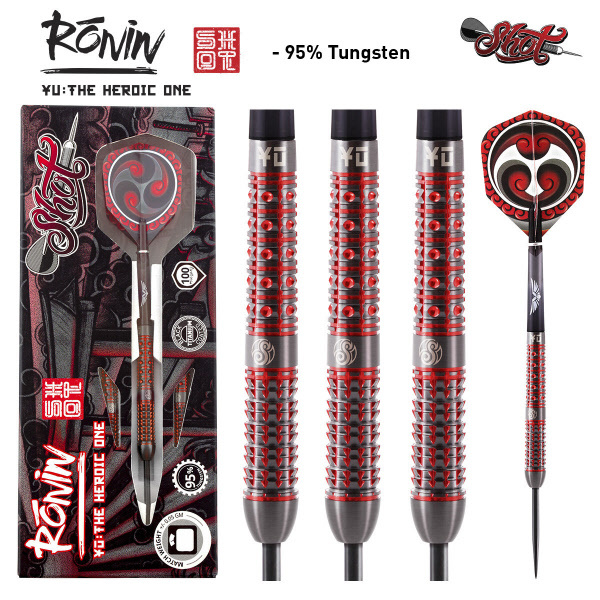 These Ronin lived by a code of discipline known as the Bushido, which outlines eight virtues. 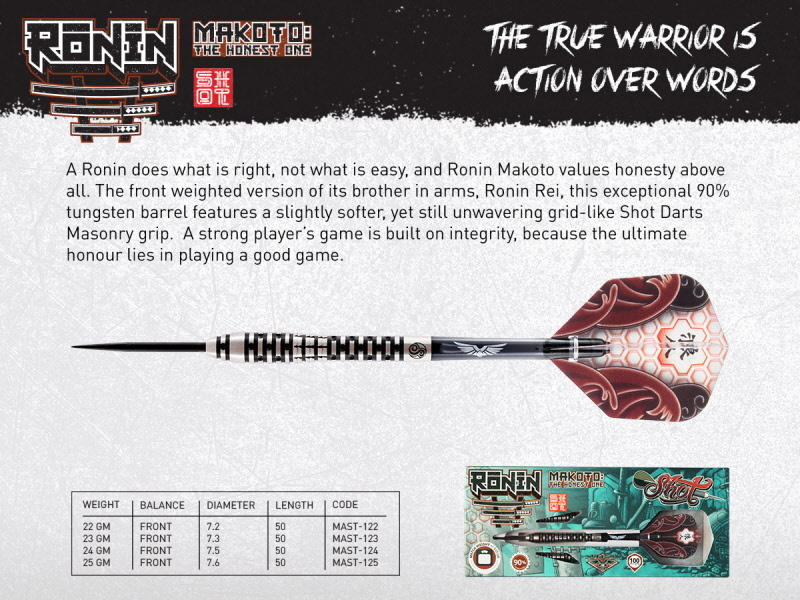 A Ronin’s strength begins with courage. 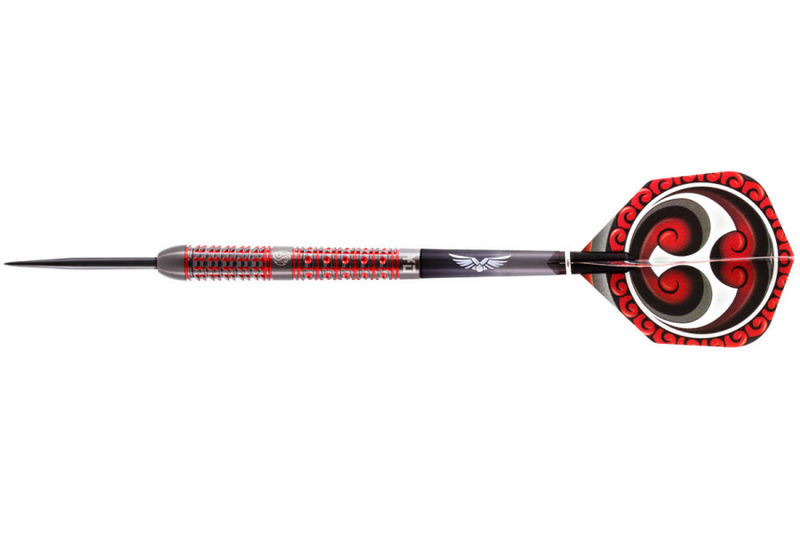 With the Ronin Yu dart comes the bravery to play well, play hard, play with honour and emerge victorious. 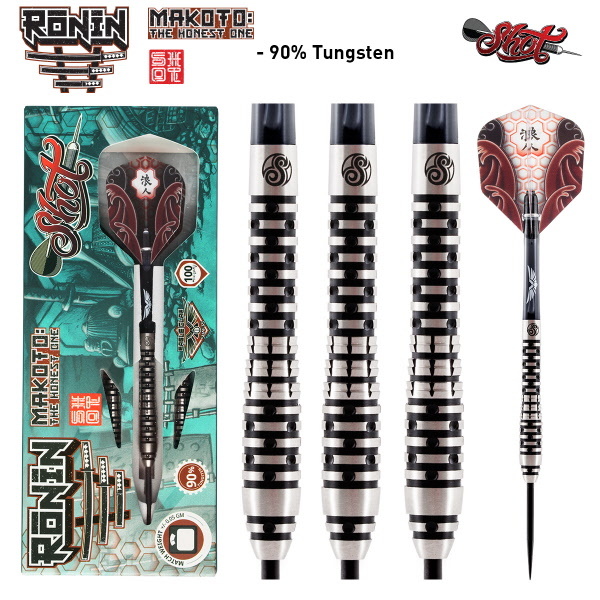 Ronin Yu is finely crafted in 95% tungsten, and features a double shark fin grip from nose to mid-section, equalized by Sirius – an apex rear grip for total control. 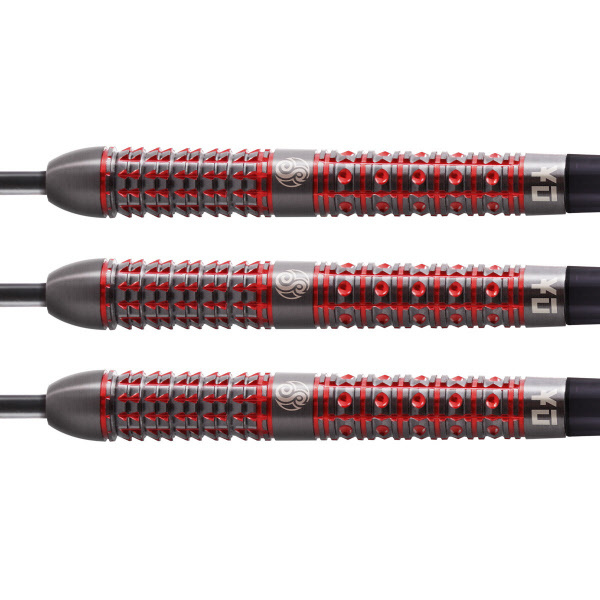 More than 400 multi directional contact points across axial and radial cuts create a superior grip profile that will still take flight on command, releasing smoothly for velocity and accuracy. 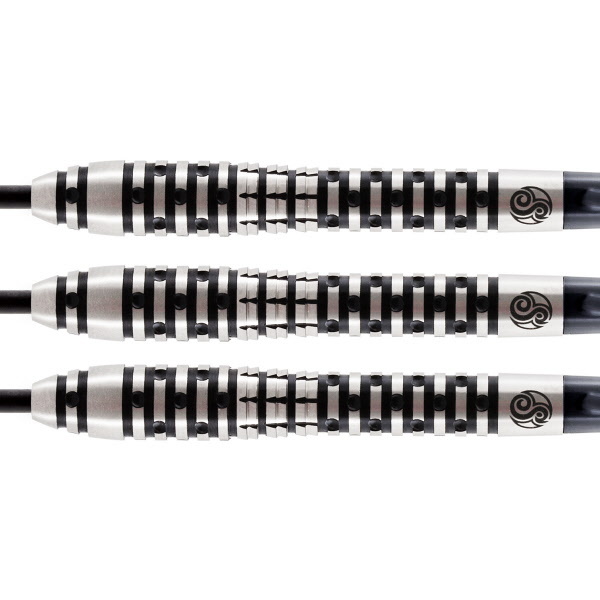 As every Ronin has many facets – so there are two Yu barrels. 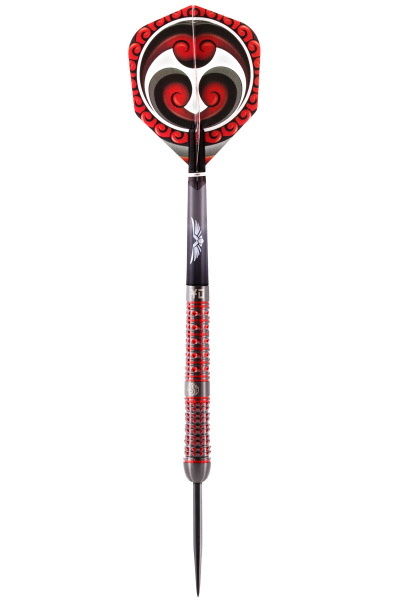 One balanced in the centre, and the other in front.